A cataract is a clouding of the natural lens of the eye. The most common factor in cataract formation is increasing age, but there are additional factors, including smoking, diabetes, and some medications, such as steroids. Cataracts can also be present at birth or be caused by injury to the eye. Cataracts are common: more than 20 million Americans over the age of 40 have cataracts, with 30 million expected to have them by the year 2020. It is the most frequent cause of preventable blindness in the world. Cataract surgery – replacing your cloudy lens with an implant – generally is recommended when vision loss interferes with your everyday activities, such as driving at night, reading, or watching TV. The decision to have cataract surgery is one that you and your doctor will make together. Some 3,500,000 patients nationwide opt for cataract surgery each year, with 4 out of 5 patients indicating the surgery was easier than expected, and 88% saying they would recommend cataract surgery to friends and family. 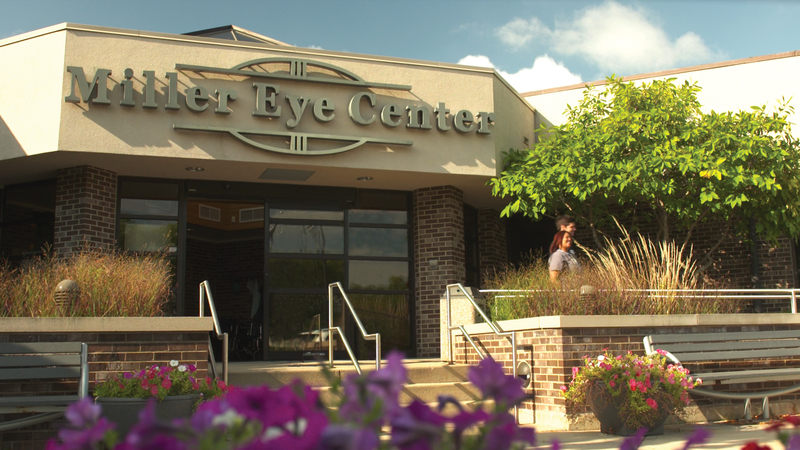 Miller Eye Center is among the nation’s leading practitioners of applying the latest, most advanced implant technologies. Dr. Miller has performed over 3,000 advanced technology implants, the vast majority of all types of implant surgeries in Rockford. Most significantly, 93% of our cataracts patients with Advanced Technology multi-focal implants are now free from glasses for reading and distance vision. When considering cataract surgery and refractive correction, it is important to go to a center that offers the following implant options and can discuss which procedure best matches your lifestyle. 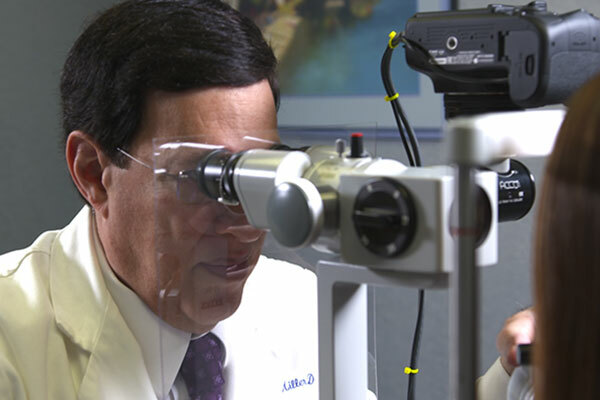 Dr. Miller has done over 3,000 Advanced Technology lens implants. No other surgeon in the area even comes close. The FDA-Approved Multi-focal AcrSof IQ ReSTOR® implant represents a breakthrough technology because of its unique, patented optic design, which allows patients to experience the highest level of freedom from glasses. They are the world’s most commonly implanted multi-focal IOLs. This lens can provide cataract patients with a full range of improved vision. It corrects vision for near, far, and intermediate distances. Most patients find that they can read a book, work on the computer, and drive a car (day or night) with increased freedom from glasses. Because Medicare and private insurance companies consider this implant to be an elective cosmetic choice, there is an additional cost to you beyond what your insurance would normally pay. Dr. Miller in 2015 and 2016 was the highest volume RESTOR implanter in the state of Illinois. FDA-Approved AcrSOF IQ TORIC lens are specifically designed to provide clear distance vision for patients with astigmatism. It corrects the blurring and distortion caused by astigmatism. In most cases, this lens allows patients to leave their glasses behind and recapture quality distance vision in one step. Because Medicare and private insurance companies consider this implant to be an elective cosmetic choice, there is an additional cost to you beyond what your insurance would normally pay. By modifying the cataract surgery incision, correction of low amounts of astigmatism can usually be achieved. Because Medicare and private insurance companies consider this to be an elective cosmetic choice, there is an additional cost to you beyond what your insurance would normally pay. By making acurate incisions in the cornea, this laser can correct low amounts of astigmatism. Standard lens implants have been used for many years and are both effective and inexpensive. However, they have no ability to provide vision at more than one distance. A common misconception among patients is that if they did not need glasses before cataract surgery, they will not need glasses after surgery. Most patients who select a standard implant will need to wear glasses for activities like driving and reading. The ORA Laser Guided System enhances your cataract surgery outcome by refining the implant power during your cataract surgery. By measuring the eye after the cataract has been removed, this technology helps to correct some of the expected 20% error rate of the standard preoperative measurements. This system allows correction of some of the calculation errors inherent in preoperative measurements made in the office. Because Medicare and private insurance companies consider this to be an elective cosmetic choice, there is an additional cost to you beyond what your insurance would normally pay. ORA testing is included at no extra charge with a multifocal or Toric lens implant. Which procedure offers the best results for cataracts, and meets the needs of your lifestyle? Find out at Miller Eye Center.